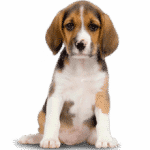 It is easy to see that Paralysis issues with dogs are one of the more common challenges facing pet parents these days, as people are coming to NZYMES® for such help on a near-daily basis. And, there is a good reason that they come to NZYMES – as the word spreads that the body (of the dog) can pull off some pretty special tricks in getting its own problems under control. For paralysis issues, it’s also really easy to see how things turn out, and how quickly – with the video evidence we keep getting. With issues like arthritis or ‘degraded joint health’, people are not usually so quick to grab a camera to video the affected dog. That’s not the case where a dog is completely down and unable to get up or walk for a substantial period of time – as with the typical paralysis example offered below, showing initial recovery days of LILLY. This was the first such video submitted to us many years ago; wherein, the pet parent (Shannon Hersey) had so much faith in what she read on NZYMES.COM that she started the video recording BEFORE she ever opened the shipment from NZYMES®. She was not disappointed, as you will see in the video below. Though we offer one example Recovery Video below, you can access our entire Video Library – HERE. But, there is much to learn about the subject of ‘paralysis in dogs’ – as provided below and with other pages, we’ll link you to. We’ll cover a couple of the more common causes here, and more can be found on the page “4 Common Causes of Canine Paralysis“. From what we see, very likely the most frequent cause comes from (1) back or spinal injury – affecting nerves – which is the story of little Bella, who’s Video you will find on the other page we just mentioned. Dogs are energetic and rambunctious creatures, and can often get themselves into situations where damage or injury to their horizontal oriented spines is likely. Then again, things just happen by chance. For example, as the writer of this piece, I witnessed my own dog, Chewy, sustain a spinal injury back in the mid-90’s where his missed attempt to get off our bed resulted in him tumbling backward and falling onto the sharp corner of our nightstand. 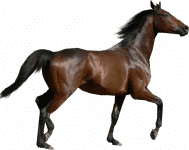 That hit to his spine caused immediate paralysis, and he could only drag his rear legs behind him for a lot of weeks before finally recovering. That was long before my NZYMES days, so I had nothing to give him that could provide significant help, other than typical pain medications offered up by the vet. Though some relief may have been seen, such med’s did little or nothing to support recovery; it was just matter of time – over the months – for Chewy to improve via natural healing processes. Stroke issues (2) can also be a cause of dog paralysis, though possibly on the other end of the frequency scale. A dog suffering a stroke can have limbs or other parts of the body become temporarily useless, thereby creating a paralysis situation. Fortunately, we have seen many dogs suffering from stroke situations have some remarkable recovery of capabilities with NZYMES® support just like dogs that end up paralyzed due to more common causes. To take a deeper look at possible causes, please check our other page – 4 Common Causes. What you may be more interested in learning here is getting help for your OWN dog, or other pet, that may be down due to some form of Paralysis. This is where NZYMES® antioxidant products come into play. 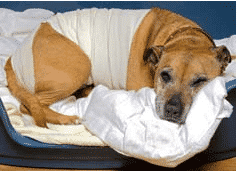 As our video examples will illustrate, the way to get your dog, cat, or other pet on the road to improvement and the likelihood of restoring wellness – without surgery or risky drugs – is not with pain relievers that might provide some temporary break from the pain. The most effective way to get your pet up and moving again is to put the right kind of resources IN the body that enable it to function the way it was designed to. This is where pet parents get so surprised – when they see the body doing what they could not have imagined – in the realm of restoration and repair. We recommended you check out the video of LILLY below, and then Bella offered on the other page mentioned. If you feel like taking that ‘leap of faith’ on the natural route to wellness, then you can choose from the THREE products listed below. We give you a full 120 days to evaluate, backed by our Guarantee of satisfaction, and urge you to use up all that time if necessary. Though most dogs respond early on, every situation is different, and there’s no way to know the extent of damage or injury. Give your pet a chance to show what the body can do under such extreme challenge.